As Mardah, I have now done two whole expansions with Innovation. On the first day of winter, 2010, I joined Innovation, two weeks into the Cataclyms Expansion. Both expansion somewhat followed the same timestamps. Innovation did the first tier of raiding 'almost' in the time provided. In the second tier we did some heroics (now mythics), and the last tier was completed on the most difficult setting... in the nick of time. Halfway the expansion there seems to be a problem with the number of raiders, although Innovation didn't went back to 10-mans, like we had to do in Firelands. So we have a good pace. This weekend we will hear more about the future, if there will be 2 or 3 tiers of raiding. Will Blizzard finally up the speed, could we actually be having a patch 7.0 before december 2015? There is also a lot of studying new bosses and raids coming up, although some old names will come along (Hello Gruul). Innovation will probably resume raiding in januar after this week. Give people time to level up, have a nice christmas vacation. 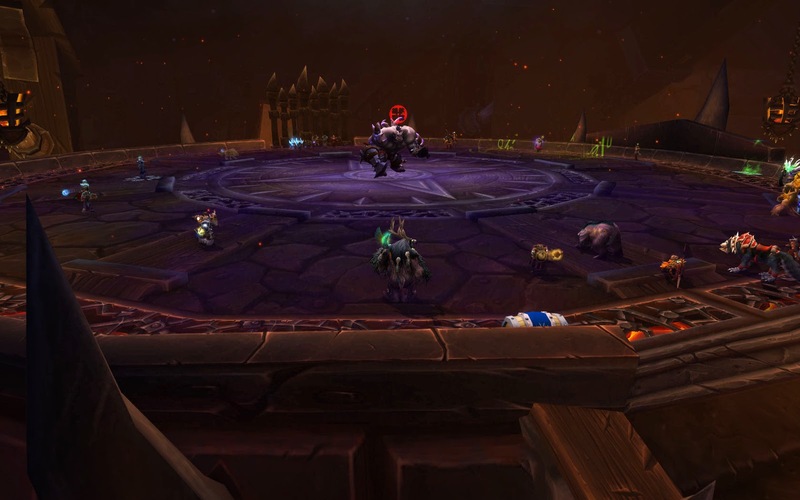 There are less bosses in the first tier of raids then last expansion, so we may be able to do it in time, we'll see. What remains after this week are the memories of endless wiping on some bosses, I am looking at you ElegON, GaralON, HorridON. The quick and sudden kills of some bosses, like the Thunderkings Wifes, the Shamans of Orgrimmar on Mythic... That watery dude on the terrace. And of course the seemingly endless summer in Orgrimmar it self.